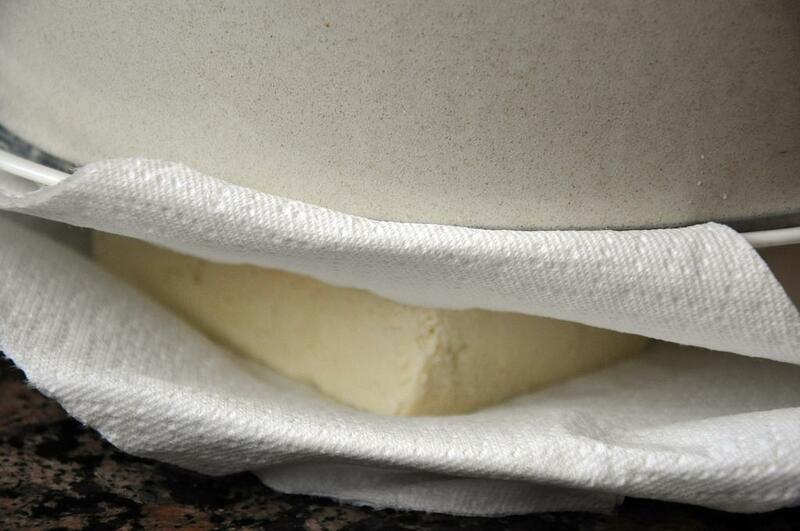 Cut tofu block in half lengthwise and place side by side on a paper towel-lined plate. Place another layer of paper towels on top, then another plate and then a heavy pot and/or foil-wrapped brick (I did both). Let drain for 10 minutes. 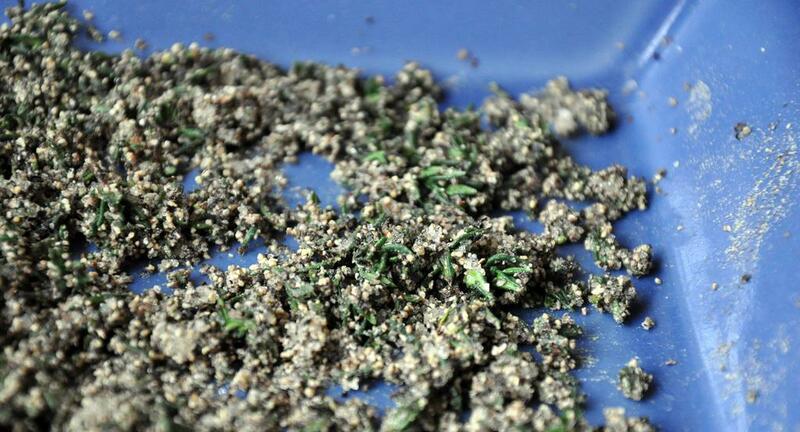 Meanwhile, in a shallow dish mix together pepper, thyme and 1 tsp salt. After draining the tofu, cut each piece into four so you have eight total. 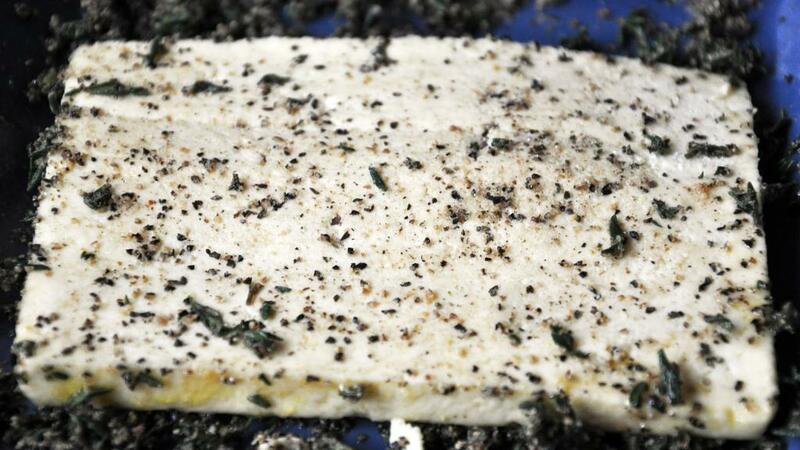 Coat tofu with pepper-thyme-salt mixture on both sides and set aside. 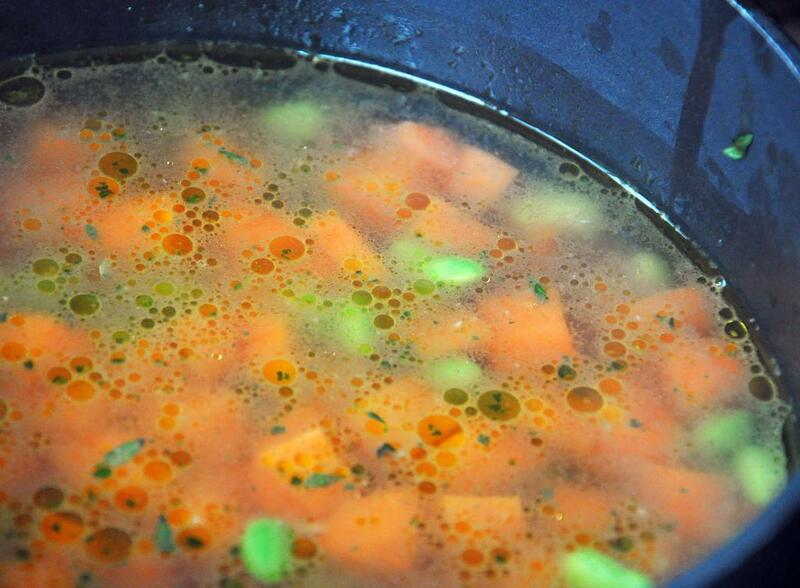 Put broth, carrots, edamame, 2 tsp EVOO and remaining salt in a medium pot and heat, covered, over medium heat. 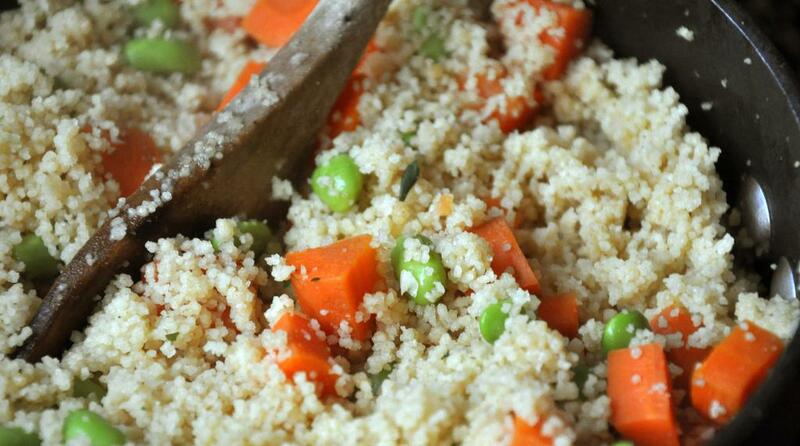 When it comes to a boil, remove from heat and stir in couscous. Replace cover and let sit for 5-10 minutes. 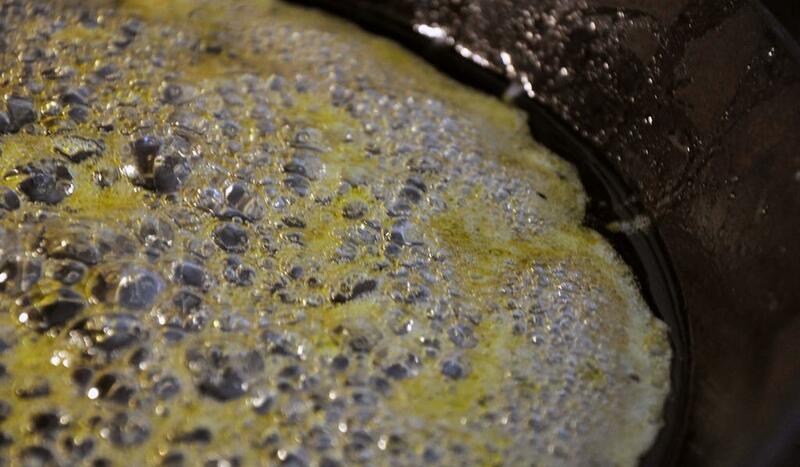 Meanwhile, heat remaining 2 Tbsp EVOO and honey in a large skillet over medium heat until bubbling. Put tofu in the pan and cook on each side about 3 minutes, until lightly browned. You may need to do this in two rounds if all the tofu steaks don't fit in the skillet. To assemble, place 1/4 of the couscous mixture on a plate and top with two tofu steaks. 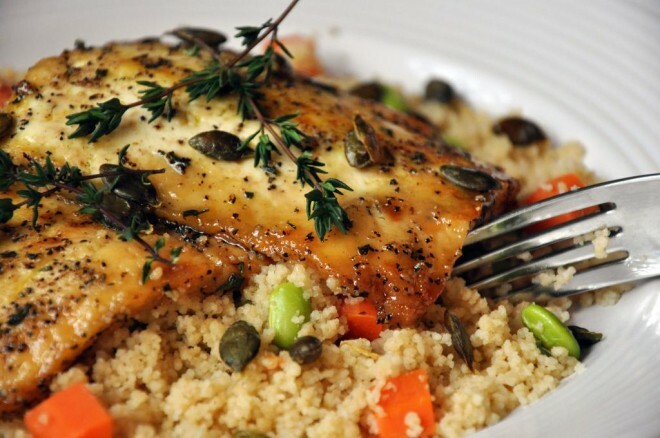 Sprinkle with pumpkin seeds and any remaining thyme leaves as a garnish. Repeat with other three dishes and serve hot. This is the best recipe! Yum! Yum! Everyone loved it! I am new to eating tofu and I actually love this tofu!